WSP is an international innovation-oriented creative architectural design institute with Class A architectural design qualification. It is also one of top 10 international architectural design institutes in China and the first-class brand in the architectural design in China. BIG – Bjarke Ingels Group has further strengthened its in-house capabilities by hiring Duncan Horswill—former CCO at Søren Jensen Engineers—to lead BIG Engineering, a new specialized unit dedicated to ensuring the structural, mechanical integrity and resilience of BIG buildings globally. Newly minted BIG ENGINEERING is currently working on a wide range of projects, including the new NOMA restaurant in Copenhagen and the Faroe Islands Education Centre. BIG will continue to collaborate with external engineering firms, including long-time collaborators AKT, ARUP, DeSimone, Thornton Tomasetti, BuroHappold, Schlaich Bergermann Partner, Bollinger + Grohmann, Ramboll, MKA among many others. LUIS DE GARRIDO interview for BEYOND magazine (China) about ARTIFICIAL NATURE ARCHITECTURE concept. 1. Nowadays, the world is faced with population explosion and energy crisis. Energy Consumption is increasing incredibly. Concerning the architectural design field, energy efficiency is paid more and more the present situation of sustainable architectural design? Sincerely, I don’t think so. It is a fashion media that was looked down on by architects 10 years ago, and nowadays everyone wants to lead it. But it is easier said than done. There is a lot of talking, but little is done. Personally I think that only a handful of architects made ​a truly sustainable architecture by their own initiative, and well above the existing rules in each country. These architects are: Ken Yeang, Richard Register, Norman Foster, Richard Rogers, Jonathan Hines, David Kirkland, Hansen & Petersen, Peter Zumthor, Mario Cuccinella, … ..
Jim Olson: Architecture for Art, the first comprehensive exhibition devoted to the career of Jim Olson, founder of Olson Kundig Architects. Organized by the Museum of Art at Washington State University, the exhibition will be on view from September 30 to December 10, 2011. An opening reception and a lecture by Jim Olson will take place on September 29, 2011. The exhibition will serve as a retrospective for Olson’s 45-year career, including his own homes—an apartment in downtown Seattle and his cabin on Puget Sound—as well as his public design work, which encompasses the Lightcatcher Museum in Bellingham, Washington, St. Mark’s Cathedral and the Pike & Virginia Building in Seattle, and the Noah’s Ark Exhibit at the Skirball Cultural Center in Los Angeles. – A mid-twentieth century, the architect was, in a sense, the obligation to consider the weather conditions for the design of buildings. Admittedly with some precision the positive and negative effects of climate change in order to develop design strategies for a harmonious relationship with the building. Rapid technological developments after the Industrial Revolution dramatically changed the relationship and the architect was launched, literally, to pursue other paradigms derived from consideration of the elements. In this sense, one of the best references available at international level is the Spanish architect Luis de Garrido, who has spent more than 20 years of experience in research and development projects integral architecture, bioclimatic and sustainable. Its chief architects as references to architects Ken Yeang, Peter Zumthor, MVRDV, Eisaku Ushida, Hansen and Petersen, Emilio Ambasz, Norman Foster, Jonathan Hines, David Kirland … among a few others. Always controversial in their presentations, Luis De Garrido is the creator of some concepts that accompany it in its various activities and are responsible for promoting the role of the architect’s mission to the sustainability of projects. 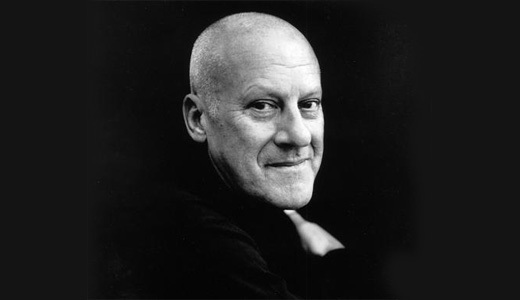 Beating his competitors including J K Rowling, Damien Hirst and ‘Atonement’ Director, and Joe Wright in the Arts Category, Norman Foster voted as ‘Britain’s Best 2008’ based on his design contribution around the planet. 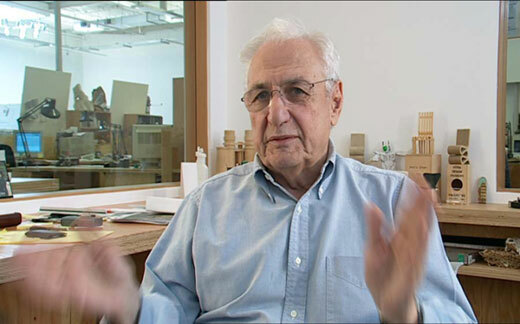 Frank Gehry was born in February 28, 1929 in Toronto, Ontario, Canada. He moved to California in 1947. He worked for Wdton Becket & Associates (1957-1968) and Victor Gruen (1968-1961) in Los Angeles, as well as for Andre Remondet in Paris (1961). He created his own firm, Frank O. Gehry and Associates in 1967. He Win Pritzker Prize in 1989. And his most know projects titanium-covered Guggenheim Museum in Bilbao, Spain was opened to the public in 1997.